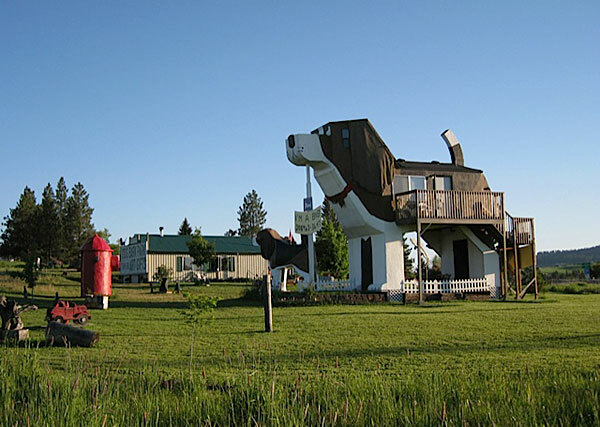 The Dog Bark Park Inn is a quirky hotel shaped like a Beagle located in Cottonwood, Idaho. 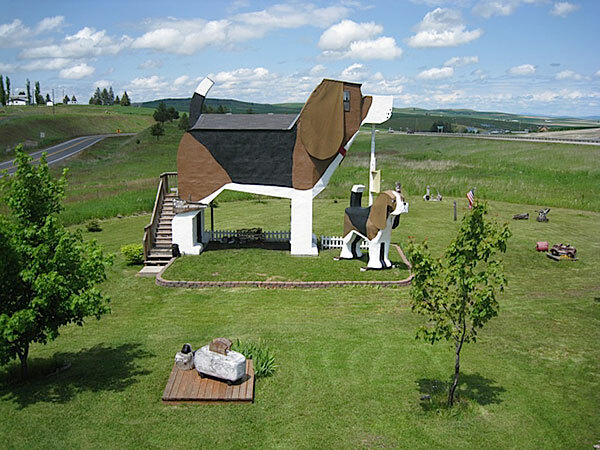 The hotel was conceived by owners Dennis and Frances who are both wood carvers. 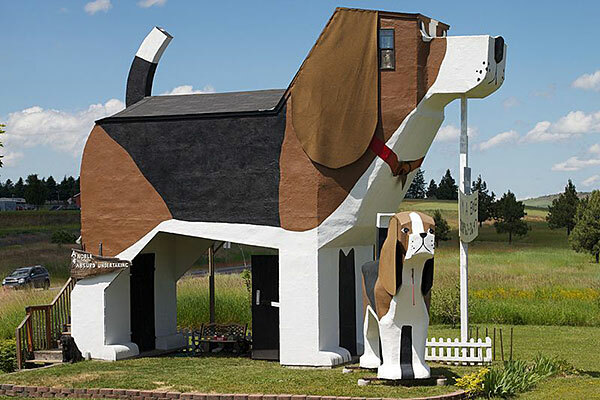 Sweet Willy, officially known as Dog Bark Park Inn, is one of America’s latest additions to the type of roadside architecture popular in the early days of automobile vacation travel when travelers would often buy gas, eat meals, or stay overnight in a building that looked like something else. Remember coffee pot or teacup gas stations, milk bottle shaped restaurants, or the shoe and duck houses? 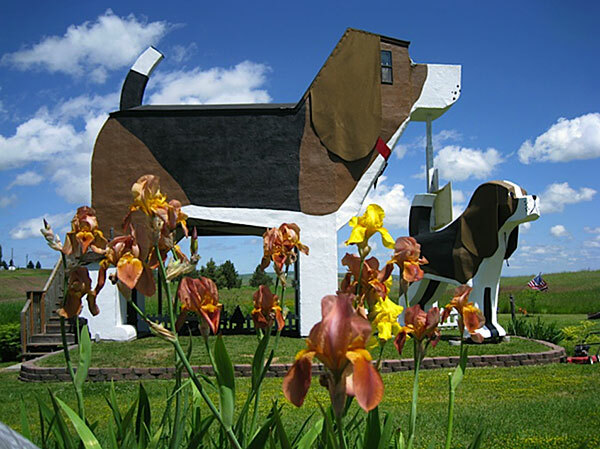 For today’s travelers Dog Bark Park Inn offers a glimpse into those bygone days with all the comforts of our modern days.